BELIZE CITY, Wed. Oct. 7, 2015–Today, a press conference was held at the Christian Workers Union (CWU) office, located at 107B Cemetery Road, where the Social Security Board’s staff opened up about the alleged mistreatment they say they have been receiving from the Social Security Board (SSB). The release yesterday further stated that the SSB negotiating team had requested a complete media blackout regarding the proposal, counter-proposals and discussions concerning the Collective Bargaining Agreement (CBA) that is currently being negotiated, and that the CWU has been in compliance with the request from the SSB negotiation team. Therefore, says the release, the CWU finds the Chairman’s recent actions to be in “total bad-faith”. Further, it goes against “the spirit of good-faith negotiations,” stated the release. At the press conference today, the SSB’s staff had an opportunity to tell their side of the story and address some of the issues spoken of in the press release. 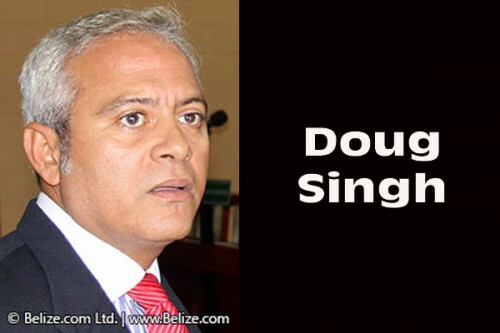 Matura-Shepherd gave an example of a BEL settlement agreement in which the Board was there just to vote yes, to pass a resolution that favors BEL, Fortis and the government. Matura-Shepherd said any payment has to be approved by the Board, but the Social Security Act lays out how monies are spent. She added that in the present negotiations, the CWU was trying to address the financials, but the Board did not want to disclose the financials. Shepherd said they were told that they needed to wait until the next Social Security meeting, which will take place closer to the end of the month. Flowers explained that the staff is entitled to a new set of uniforms every 18 months, and in the event that such uniforms are not provided within the required time, the staff should receive a clothing allowance. Flowers said that management is now refusing to pay their clothing allowance. Management told staff that the terms for the allowance are ambiguous and so it will not be paid; instead, management is prepared to offer staff an ex-gratia payment. Flowers said that management, in a letter, stated that staff would receive the ex-gratia on the condition that they sign onto an agreement to extend the period after which new uniforms become due to 24 months, which is adding 6 months onto the specified period. Flowers explained that they have refused the offer, since, although the 24 months is currently in the proposed CBA, they have been made to understand that the offer of an ex-gratia payment is no longer available. Deputy Chief of the union, Ella Waight, said that the last time the Social Security Board received a salary increase was in 2011. Waight said that in their negotiations with management, they have requested a salary increase of 12% over 3 years, but management has yet to respond to their demands, and in yesterday’s negotiation, management told them they are not able to respond until their next board meeting, which takes place at the end of October. “The Board of Trustees made a recommendation for an increase to pensioners, and there are 5 staff pensioners existing at this current date … It is not a 16%, it is pro-rated and we don’t even have that figure … it will not benefit the current social security staff until we go on pension,” Waight went on to say. “Previously, the members of the board received $300 for attending meetings, and now, they receive $800. They receive that $800 for whatever length of time the meeting lasts,” Waight said. 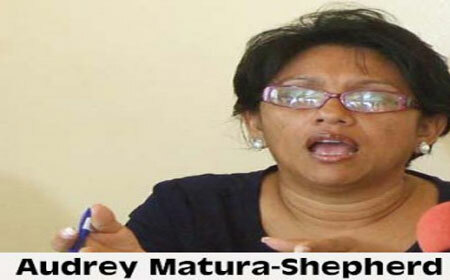 It will be interesting to see, if the SSB staff is not satisfied with the negotiations, what “skeletons” Matura-Shepherd will release to the public.